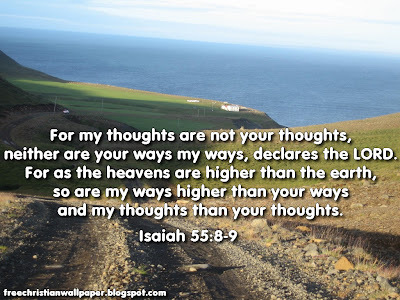 Today , I have select this title , is it correct " my thoughts are not your thoughts" . No it is incorrect , my thought is absolutely your thought . I think if you love me , if you like my and if you are interested to read my thought , then my thoughts are your thought but , if you do not love me , you do not like me and you are not interested in my thoughts at this time my thought is just my thought , these thoughts are not your . Thoughts are so affected with other persons thought . If I have written one line , next day thousands bloggers will write hundreds new lines after reading this article . So, everybody thoughts are interconnected with other person's thought and no one can se that my thoughts have my own property . Because in this world , no one have all knowledge of this world . When we find and like other person's character , we first adopt his thought in ourselves . After this they do what his guru is doing and power of thought are transferring from one person to another .
" my thoughts are not your thoughts "
But everybody say ," My thoughts are your thoughts ".